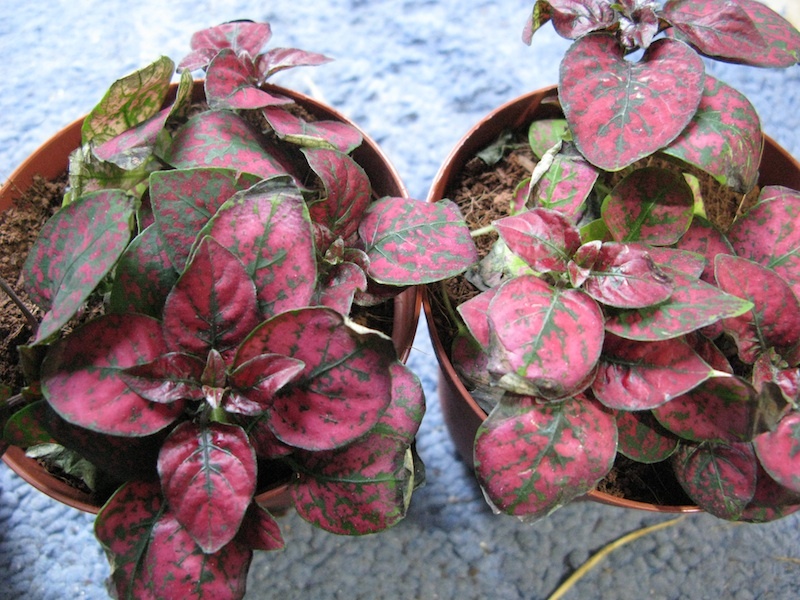 While you are out at Home Depot buying supplies to create beautiful walls like those in Ron Hoess’ recent blog entries, you might want to check out the plant sale. Small tropical indoor plants are $2.50 each. This is inexpensive enough that you can experiment with propagating some of them. 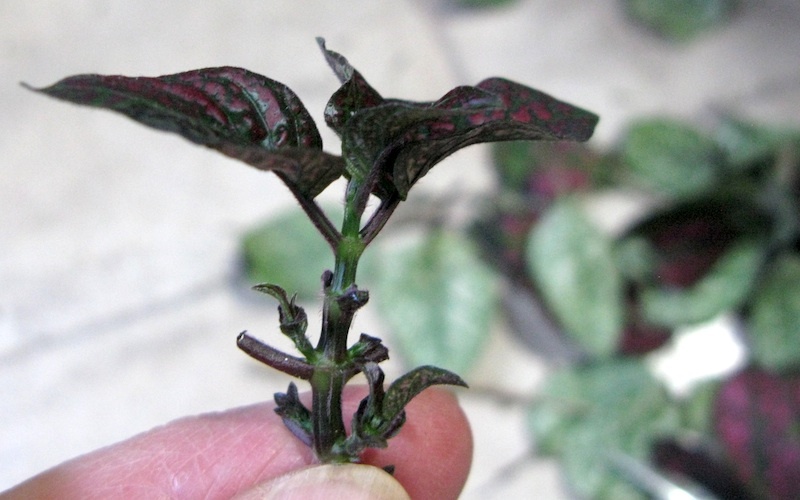 I chose several red polka dot plants (Hypoestes phyllostachya) and cut off all the large leaves. 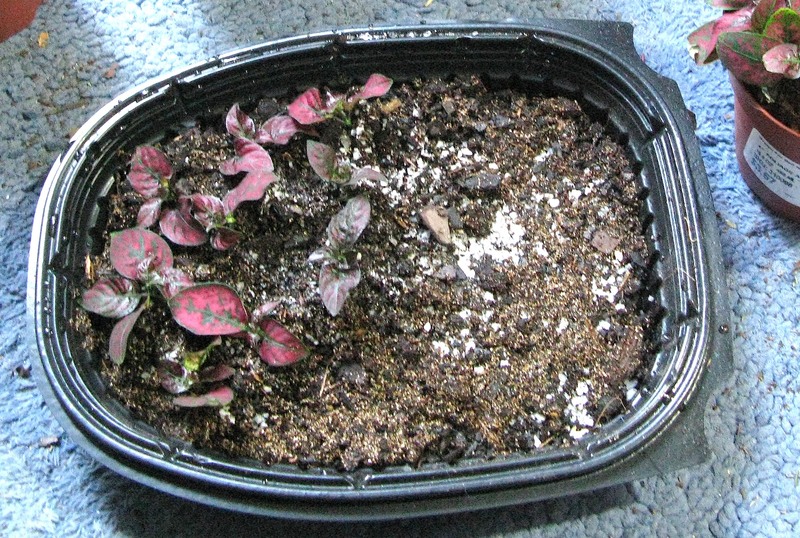 I planted the bare stems in a potting mix of potting soil, sand, perlite, and vermiculite (make it looser and lighter than just straight potting soil). I used my favorite free mini terrarium: a grocery store rotisserie chicken container! They should root within 2-3 weeks. Keep the soil damp but not wet. Keep the cover on loosely and air it every other day for a few minutes.